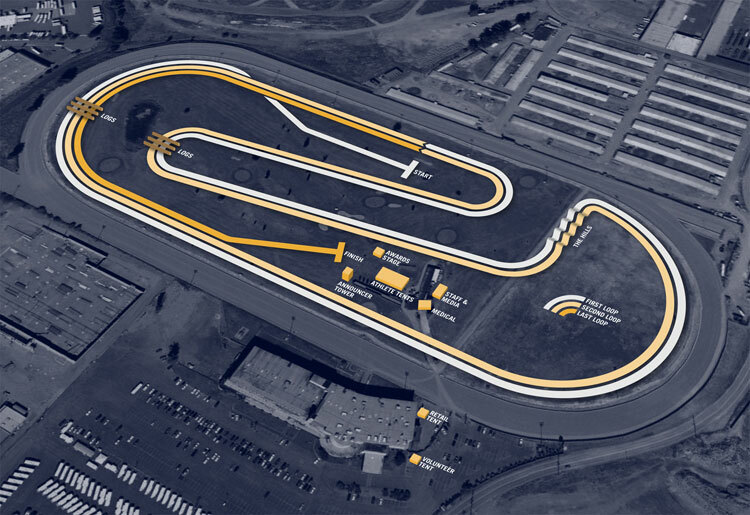 On the Tuesday afternoon, and the early evening before Thanksgiving, November 23rd, Chabot College track and field is going to host a series of mile races that start on the Chabot track circle the stadium and finish on the track. 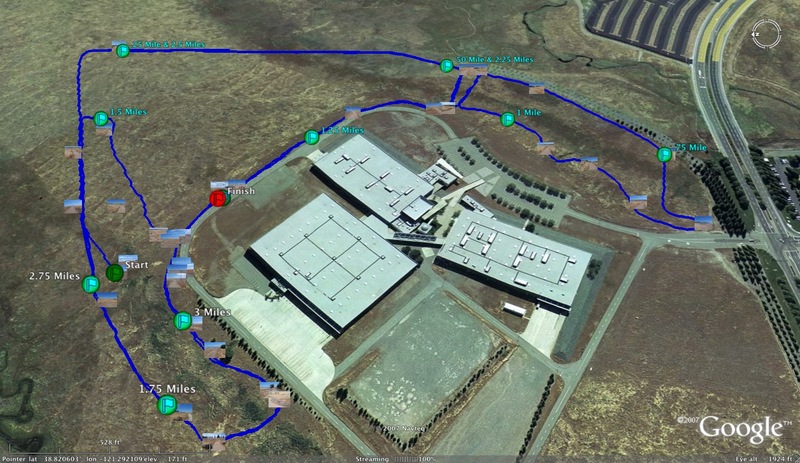 The idea behind this event is to get an idea of what kids can run a road mile in after finishing cross country season. The event is a low key affair with the winner of each race division winning a 10 to 12 pound frozen turkey. I hope your kids can be a part of this fun event. Includes Sonoma County League (SCL), North Bay League (NBL), and Coast Mountain Conference (CMC). The College Park High boys cross country team proved it is a player on the statewide stage, winning its Division I race at the Mt. Sac Invitational in Walnut on Oct. 23. Jeff Bickert led the charge, finishing second individually with a time of 15 minutes, 6 seconds. The College Park girls also did well, finishing third in the team standings. 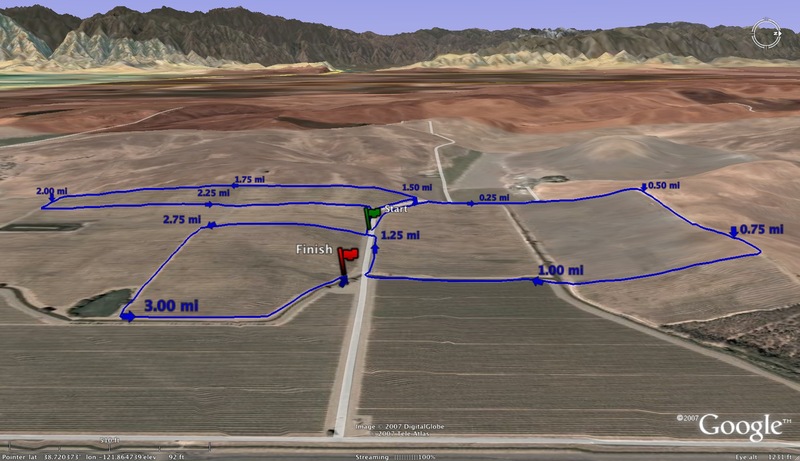 Jamie Fehrnstrom, Miramonte boys cross country -- Fehrnstrom took first at the DFAL Center meet on Oct. 20 at Shadow Cliffs Park (2.95 miles) in a time of 15:29.5 seconds. If you spot any errors or omissions, please let me know. When I get a moment, I will post the the top 10 teams (boys and girls) from Mt. SAC this past weekend. If somebody has already compiled that list, feel free to email it to me at albertjcaruana@gmail.com and I will post or you can add it to the comment section below. Who was the most impressive runner from NorCal this weekend for boys and girls? Who was the biggest surprise? What about the teams? Who looked ready to challenge for a state title? What was the best part of your Mt. SAC experience? Please let me know if I missed any runners. Not all the result links are working on the Mt. SAC site. Top Team Times to follow. Please let me know if anybody else is missing from above lists. 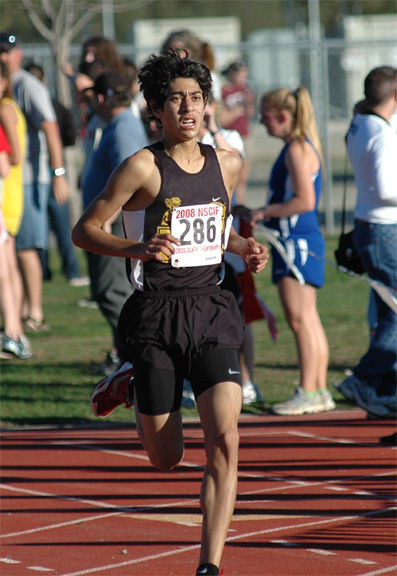 Today we chat with one of the top runners in California, Piner HS junior, Luis Luna. I still remember the first time I saw him race which was at the 2008 Crystal Springs Invitational. I was at the 2 mile mark getting splits when this runner shot past me, leading the freshman race by a wide margin. Luis finished that race in 15:58 (close to one of the fastest times for a freshman on the famed course) to establish himself as a runner to watch. He qualified for the state cross country as a freshman and a sophomore. He qualified for the state track and field meet last year finishing 3rd at the NCS MOC meet trailing only two sub 9:00 3200m. runners, Erik Olson and Reesey Byers. 1) How and when did you get your start in distance running? I started running in seventh grade because the physical education teacher who was the XC coach wouldn't stop asking me to come out. Looking back, I am glad that she introduced me to XC. I also joined the team because some of my friends were participating as well. I ran track in 7th grade but didn't do XC. In 8th grade, I ran xc and track. Before XC, I played soccer. 2) What was the first race you remember that gave you an idea of how good you can be in either cross country and/or track and field? The first race that gave me an idea of how good I could be was in 8th grade when i ran a 4:56 mile. After that, I had to decide if I wanted to play soccer or run xc in high school and I ended up choosing XC. I'm glad I did that. 3) What was the highlight of your freshman season in xc? The highlight during my freshman XC season was when I went to the state meet and ran 16:26 to finish 73rd. i didn't get to run that many races during my freshman year during track because of a stress fracture. My best race was at the NCS Redwood Empire where I ran 9:44 in the 3200 with basically no training. 5) What do you feel was your best xc race last year as a sophomore? I think that the best race I had my sophomore year during XC was at NCS where I finished 2nd behind Erik Olson of Novato HS with a time of 15:08. 6) What about your best race on the track as a sophomore? The best race during the past track season was at the NCS MOC where I ran 9:16 for the 3200, finishing 3rd behind Olson and Reesey Byers of Santa Rosa HS. 7) Who were the runners that you looked up to as a young runner in high school? There were lots of runners that I looked up to when I first started in both sports. I knew all their personal records hoped to beat them one day. 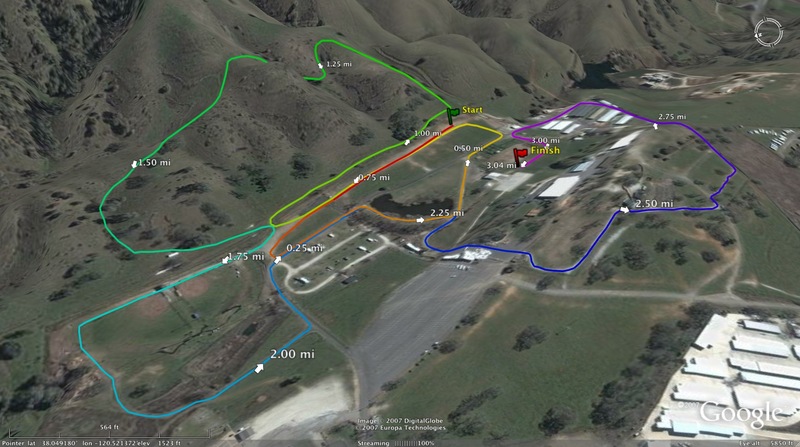 Some of the runners were Sterling Lockert of Petaluma HS, Rory McLeod and Reesey Byers of Santa Rosa HS and Erik Olson. 8) Tell us a little about your coach and how he has helped you develop as a person and runner. Mr.Rosales is a great person and a great coach. He is always there whenever I need his support. He has helped me develop as a better runner by teaching me all he knows about distance running and by helping me recover through some injuries. He is always giving us a speeches that really motivate us. During his time at Piners HS, he has built a great program. 9) What was your summer training like before this current season? What was the length of your longest run? Any workouts? What was the most miles you did during a single week? The most miles this summer were between 45 to 50 miles per week. We did lots of hill work outs. My long runs were about 1 hour and 15 minutes. 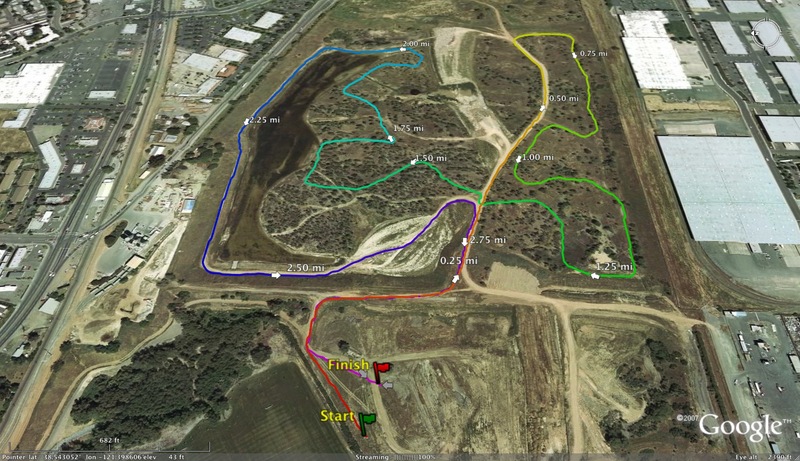 10) What is your favorite cross country course? Favorite invitational? Favorite competitor(s)? Favorite workout? 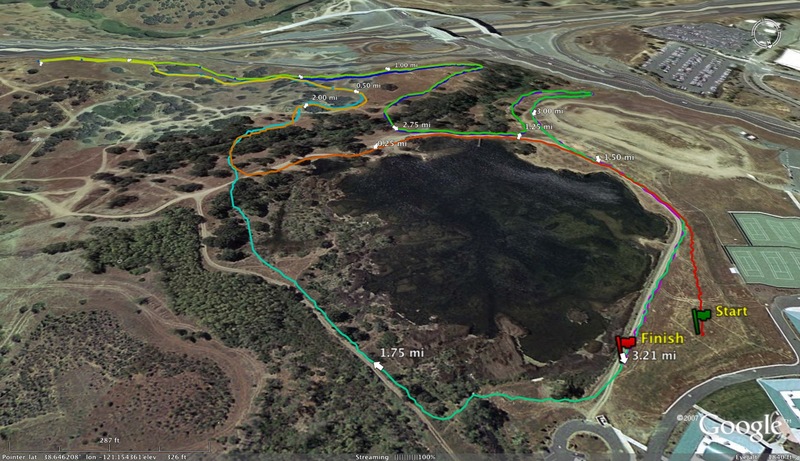 My favorite XC course is the Spring Lake course in Santa Rosa. That's where we run our league finals. 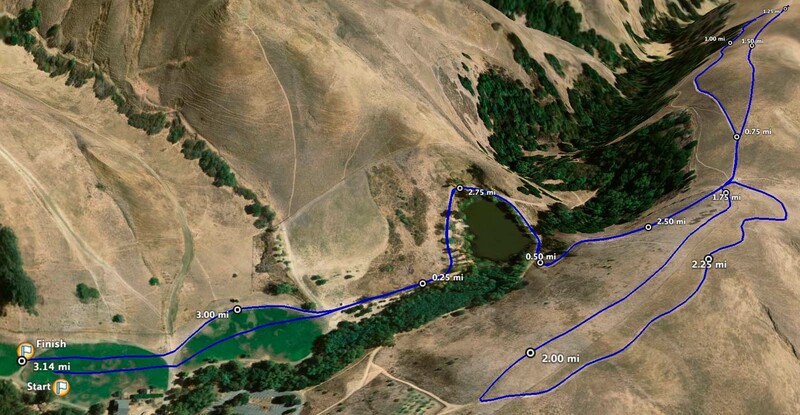 My favorite invitational is the Scott Bauhs Invitational because there is lake where you can go swimming after your race. My favorite work out is mile repeats. 11) What races are you most looking forward to the rest of the season? There are some races that I'm looking forward to this season. The main one is the NBL finals, then NCS and finally state. I just want to thank everyone that supports Piner High School XC. He is ranked #2 on my NorCal list of top 10 individual runners. You can make a case for him as being #1. Look for the interview later today. What a great day at Toro Park for the second day of the MONTEREY BAY INVITATIONAL (MBI)! 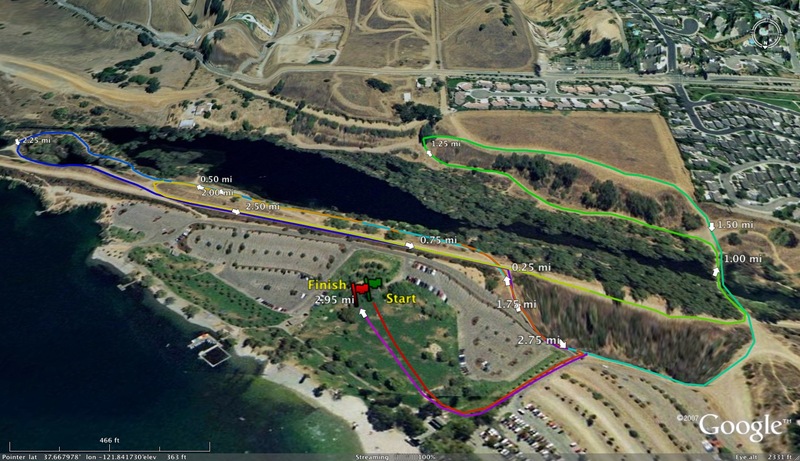 The incredible central coast weather (low 70's and sunshine for the varsity races) made for an awesome day of racing. What did we get to see? Let's describe the Varsity Boys race. It was all Domenic D'Acquisto from the start of the gun. D'Acquisto (picture to left courtesy of Doug Speck), who previously held the third fastest time on the course took off to the front and had a 10 yard lead at the 1/4 mile mark coming through in 63 seconds. From there he settled into a comfortable pace (if you call running 5:02 through the uphill mile comfortable). Domenic continued to open up as came into spectator alley with about an 80 yard lead at the 1.5 mile half way into the race. His split of 7:28 got the crowd buzzing and wondering might happen. Those in attendance last year held on with caution as they remembered last year when he came by a little bit faster and then screamed up the hills only to pay the piper in the last half mile. As we looked up spectator ridge and watch Domenic crest "The WALL" we began to wonder if this could be a record day. Domenic looked as if he was starting the race, not as though he just sprinted straight up a hill that even billygoats go around! We lose sight of him for a while, but got the report that he was at 10:02 for the two mile. The fastest reported split on record. Could he finish? He race the cars along the Hwy 68 corridor and then popped into view through the creekbed crossing with 900 meters to go at 12:10. Could he finish? He looked strong, his stride was smooth, but he was by himself, doing all the work, this isn't how course records are set or is it? 800 meters to go, he is at 12:40. The crowd is getting excited. The announcer is checking his watch to see if this is possible, with 400 meters to go he has turned the last corner and with the slight downhill finish he is 14:00 flat. We are starting to believe! Domenic continued to look smooth and under control as he flew down spectator alley for the second time towards the finish. The crowd was yelling, the announcer began losing his voice with excitement, as it became obvious that we were witnessing running history. 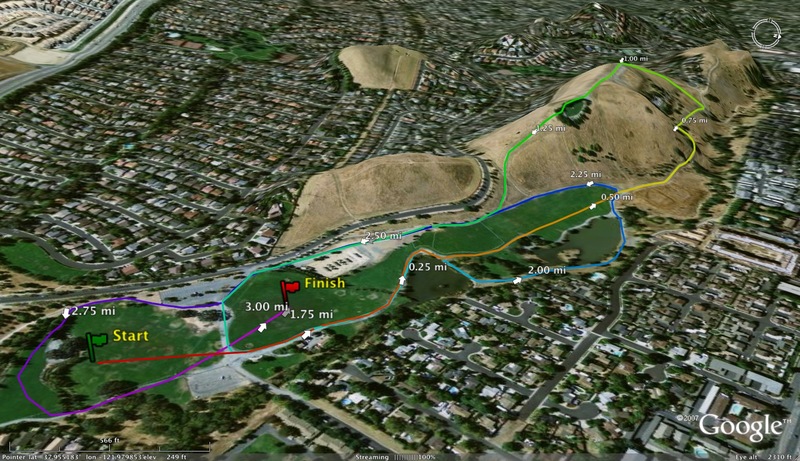 THE FASTEST TIME EVER ON THE STORIED TORO PARK COURSE! Yes, Domenic D'Acquisto (Enterprise of Redding ... 5 hour trip to get here) set a new course record running 15:05. 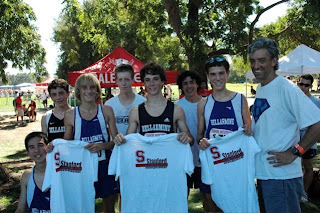 The previous course record was set in 2006 by Matt Petrillo (Los Gatos) in 15:12 at the CCS Meet. This time there was no "piper to be paid" only a warning that one of the to runners in the state (nation) is geting ready for state. He is flat out good! Lost in the excitment of D'Acquisto's run was second place finisher Donald Plazola (Willow Glen) who turned in a very impressive 15:36 to move into the number 20 all time spot. Willow Glen put 5 in the top 15 for an impressive team victory over runnerup Div.4 power Robert Luis Stevenson. Willow Glen team time average of 16:24 has to make them a threat at the state level. 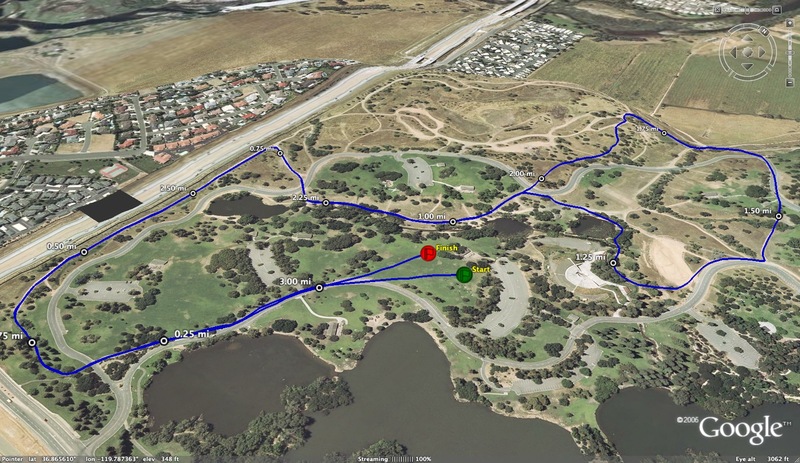 The Toro Course tends to run about the same time as that of Woodward Park. The girls race was filled with the stars of tomorrow as the top 3 and 5 of the top 6 are sophmores. Vanessa Frazier (Scotts Valley) and Nikki Hiltz (Aptos) shot to the lead and raced side by side through the lower loop. Frazier moved about 10 yards out as they went behind the horseshoe pit and Sophie Cannata boen (Sacred heart Cathedral) move up to join Hiltz. Through the mile it was Frazier trying to distance herself from the strong duo behind her. As they entered spectator alley and the halfway point, Frazier looked in command but with the feared camel humps coming up one never knows what will happen. 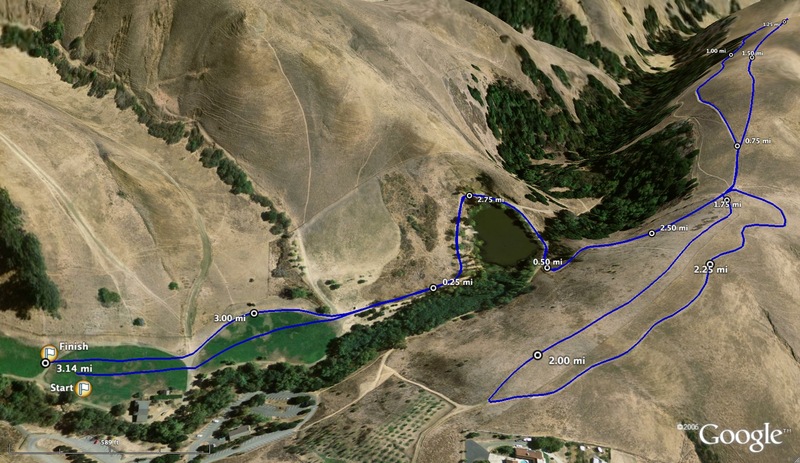 Frazier had never run the course before and was attacking the hills with gusto. It will either make you or brake you when you challenge the ridge. Up over "the wall" and she had stretched her lead to 12 seconds. 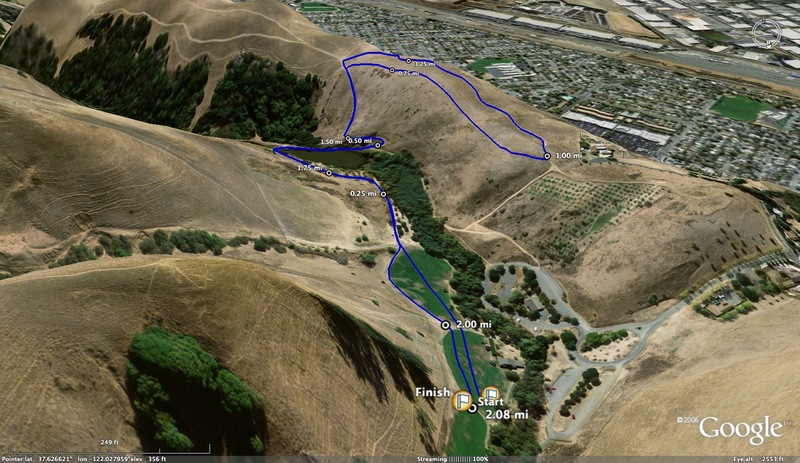 One more hill, down the S turn to the flat hwy corridor and back out to the lower loop. Would the hills and newness catch up to her? Hiltz was trying to give chase, but as they came out of the creekbed it was all Frazier and Hiltz was having to fight to hold off the strong Cannata boen for second. Frazier finished with a very impressive 18:46 for one of the fastest 10th grade times ever, while Cannata boen turned into a sprinter the last 200 hundred to take over second (18:57) with Hiltz running a fine 19:04 for third. Canneta boen lead her team (Sacred Heart Cathedral) to a nice victory this day over runnerup Leland. Alan Green's Friday report: Another perfect day for running on the central coast. The famed course at Toro is actually running a little slower than usual do to the soft sandy dirt stretches. We are in need of some rain to pack down the trails. Great times and efforts considering. Varsity boys and subvarsity results might be switched on the boys attachment...sorry. Check for the faster times as those are from the varsity race. 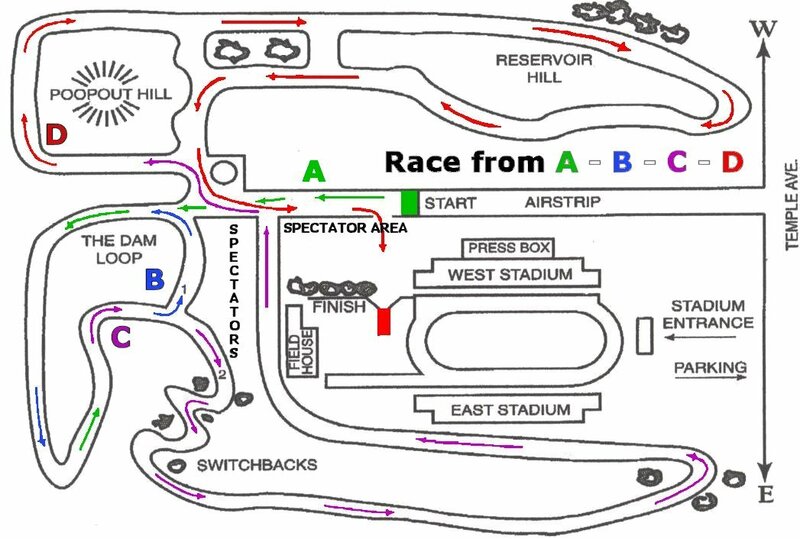 The sub-varsity was formerly known as the JV race. We changed the name because some leagues will not allow seniors to run in a J.V. race. We had 24 teams compete today with another 30 scheduled for tomorrows' version. 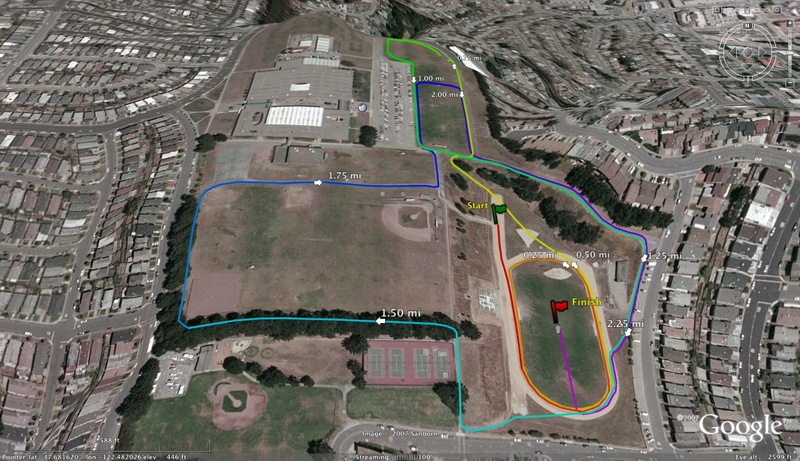 The Bay Area Track Club is putting on a running clinic on Saturday, October 30th at Gunn High School. Here is the video that he attached to his post that shows the lead women (including eventual winner Shannon Rowbury and 2nd place finisher Sara Hall) in the 5th Avenue Mile. Take a look at the results and how each woman strikes the ground. Comments? How do you strike the ground? Did you at a point in your career change how you strike the ground? How do you teacher foot strike to your athletes? Do you ever do any barefoot running on the grass?